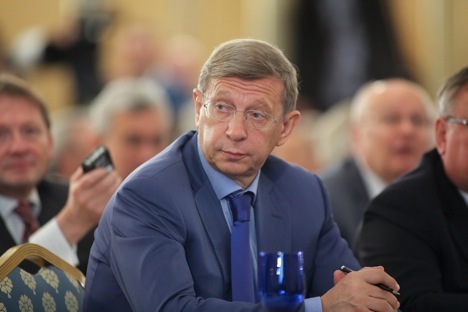 Vladimir Evtushenkov, board chairman of Sistema company. Sistema will hold a 10 per cent equity stake in Reliance Communications. Sistema, Russia’s public diversified holding company, may close the transaction on merging its Indian telecom subsidiary SSTL (Sistema Shyam TeleServices) with Reliance Communications (RCom), Indian Internet access and telecommunications company, "any day," board chairman of Sistema Vladimir Evtushenkov told TASS on Feb 8. The Russian company made a decision on the asset merger in the autumn of 2015. As a result of the merger, SSTL will acquire and hold a 10 per cent equity stake in RCom. In November 2016, Sistema Group and RCom submitted documents for final approval of the transaction by India’s Department of Telecommunications.